surrounds the church as well as the image that is portrayed by the church. 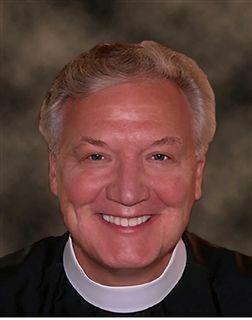 An Episcopal vestry is a group of elected parish members who oversee the church operations. The vestry assists the rector and have promotional, institutional, financial, and personnel responsibilities within the church. It is the duty of the vestry to promote the church to the existing congregation and the parish that surrounds the church as well as the image that is portrayed by the church. Through this promotional program the church will be able to grow and attract new members to the congregation. The vestry is also responsible for the maintenance of the church property and handles the financial responsibilities of the church. The members will oversee the donations and tithes as well as dispersing funds to programs ran by the church. The taxes, utilities, payroll and other financial responsibilities are also approved and paid out by the members of the episcopal vestry. Finally, the vestry members have the duty to identify individuals who can fill open positions at the church and for providing training and guidance to those individuals. Debby Hutchins had a 40-year career as a Speech-Language Pathologist for the Miami Dade County Public School system before retiring in 2011. She was chairperson for Speech, Language, Deaf, and Hard of Hearing Services in Region VI. She and her husband Joe have two adult sons, both of whom attended St. Thomas Parish School years ago. A member of St. Thomas since 1972, Debby is a volunteer in the church office, serves on the Christmas decorating committee, was active in the Cursillo community, trained and worked as a Stephen Minister, and is a volunteer with the Homeless Assistance Center in Homestead. Robert McDougal, IV, is a native Miamian. He and his wife Caryn have two daughters, and they have been members of St. Thomas for 20 years. Rob has been a business owner and a former president of an international luxury yacht company, and currently is the executive director for Fowler White Burnett, a 73-year-old law firm. He understands business, people, and the importance of a team philosophy. He is an usher at St. Thomas and participates frequently in the Homeless Assistance Center program with fellow church members. Rob also participates with the law firm in the Habitat for Humanity Blitz Build annually. Catherine “Kitty” Koch Espinosa is an attorney and mediator specializing in Workers Compensation law. She has a JD from the University of Miami, a BA from FIU, and two undergraduate years at the American University of Paris. At St. Thomas she has served as an usher, a member of the Outreach Committee and the Children’s Committee, and in a variety of other capacities. She is married to Jorge Espinosa and has one son now in college at Columbia University who graduated from St Thomas. Kitty was involved in her son’s schools as an active parent and more recently as the Chair of the Book Fair and International Committee at Palmer Trinity. Cindy Fleming, retired as a Park Ranger, is active in Bicycle Advocacy and Safety. She is a National Mountain Bike Patrol Instructor. At St. Thomas, she is a Lay Eucharistic Minister, a member of the Bible and Book study, a participant in the outreach programs of Feed My Sheep and Chapman Assistance, and part of the Flower Ministry. She and her husband Mike do the set up for all 6 p.m. services. Most recently she was trained as a Verger for the 10:00 traditional service. Cindy and Mike have two adult daughters. Andy Kershaw is the head swim coach at the University of Miami, and has been a collegiate swim coach for 18 years. He served as the Manager for the US Olympic Swim Team in both 2012 and 2016. Through these experiences, he has gained experience in teamwork, leadership, and inspiration. He and his wife Liz have been members of St. Thomas for two years, along with their 11-year-old daughter who was part of the 2017 St. Thomas First Communion class. Andy currently serves on the First Sunday Committee and is involved with Athletes in Action. Business-focused Global Human Resource Executive successful in formulating and implementing strategies aligned with organizational growth and international expansion objectives. Stared his career in Mexico with Celanese, PEPSICO, for the largest bottler of Mexico, Philips, Internationally for Philips in the Netherlands, leading HR for the Global Business Group of Automotive and Special Lighting,and 14 years for Marsh & McLennan in the United States, leading HR and Sales Operations for Latin America among other global initiatives within the Organization. Develops unique approaches to human capital that drive productivity, market growth and increased revenues. Proactive change agent and M&A practitioner who skillfully transforms culture while maximizing employee retention and morale. Experienced in leading talent assessment, executive development and organizational transformation across North America, Europe, Latin America, and Asia. Most recently founded his own boutique & became Premium Partner of Market Culture, appointed VP of Business Development for Perceptyx and Humantelligence as well as Co-Founder of the Strategic Human Capital Consortium. Melissa is a wife, mother, daughter, longtime Episcopalian and Miami native. She was raised at St.Philips Episcopal Church in Coral Gables and has been a member of St. Thomas since 1996. Melissa’stwo children, Miles (8) and Anderson (5), attend St. Thomas Episcopal Parish School and her husband,Peter, is Head of Middle School at Palmer Trinity School. She works as an Interior Designer and ProjectManager for developer 13th Floor Investments in Miami. Melissa has served on the boards of The JuniorLeague of Miami and Beaux Art at the University of Miami. Melissa attended Florida State University. Virginia has been an active member of St. Thomas for over thirty years. Born in New York, BA degree from Wells college, married to Willard and has 5 grown daughters, and has served many ministries at St. Thomas. She has been the vestry twice, chair of the fiftieth anniversary of the church, Altar Guild director and preserving the history of this Parish.